In this day and age, not been on WhatsApp is just like being partially cut off the whole social media experience as WhatsApp is one of the worlds largest messaging app. With WhatsApp, you are not just limited to texting alone as you can also share contacts, videos, audios, location and even documents easily to either your friends or even a group of people at a time. And for those who happens to be windows mobile users, you can now get the WhatsApp application on the windows 10 mobile store, so in this post, I will put you through on how to install and also set it up easily on your windows mobile. ==> Open the windows mobile store on your device. ==> Click on the search icon on the top right corner of your screen. ==> Type WhatsApp in the search bar. ==> Select WhatsApp and click on Install. ==> Just wait till the installation is completed. so once you you have successfully installed WhatsApp on your phone, the next thing will be to to create an account and also set it up. 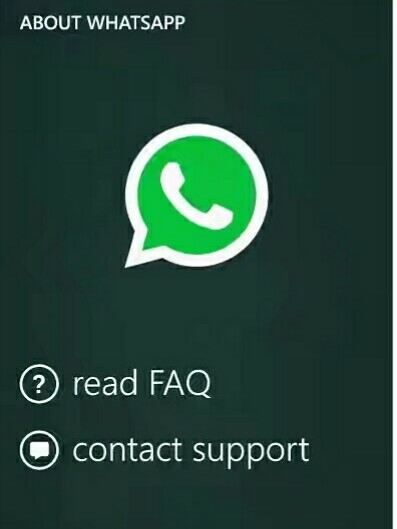 ==> Open the already installed WhatsApp application. ==> Click On agree and continue at the bottom of the screen. ==> Select your country and input your mobile phone no. ==> Click on the next button and select OK on the next screen. you are now ready to start using WhatsApp on our windows 10 mobile.